In the wake of Hurricane Florence, many families have been displaced from their homes and face an uphill battle to rebuild a life that resembles normalcy. At Cape Fear Habitat, affordable safe housing is always on the table and our immediate focus will be centered on helping our community get back into their homes. In our effort to accomplish this goal, we are currently gathering information to help us assess the need, resources available and how we will serve not only our current Habitat homeowners, but our community as a whole. Are you interested in lending a hand? 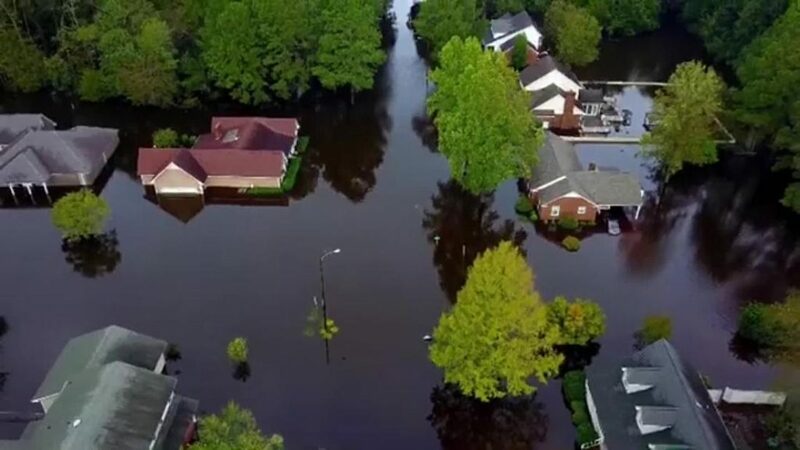 You can help us help others to recover from Hurricane Florence. We will be mobilizing resources to assist the community rebuild. If you are able to support these efforts financially, you can make a donation specifically for this cause by clicking the button below. Shop and/or donate at ReStore! Cape Fear Habitat ReStores are seeking donations of new and gently used household items: appliances, building materials, furniture, lighting fixtures, cabinets, and more. With free pick-up service and donation drop-off centers at three convenient locations, Cape Fear residents can easily donate new and gently used items to a great cause. Proceeds from all three ReStores collectively go towards carrying out the mission of Cape Fear Habitat. *Please note that any items damaged by flood waters cannot be accepted due to health and safety concerns. We have wrapped up the immediate muck out work and are now shifting focus towards the rebuild efforts. If you are interested in helping to rebuild homes, please sign-up below. We will reach out in the coming weeks once the rebuild opportunities are established.